Free shipping. Buy direct from HP. 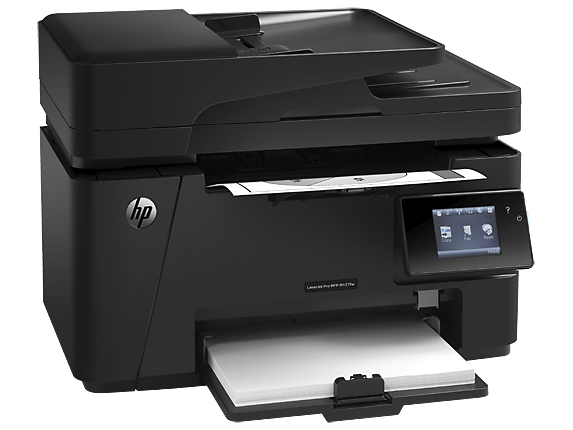 See customer reviews and comparisons for the HP LaserJet Pro MFP M127fw. Upgrades and savings on select products. Be agile—easily manage your MFP right at the 3-inch color touchscreen.Finish projects fast—use the 35-page automatic document feeder to make the most of your time.Easily copy both sides of a two-sided ID or other small document onto the front of a single-page.Set the pace for success with an MFP that prints, copies, and scans—fast. Extend your printing reach. Easily set up, print, and share using Ethernet and wireless connectivity.Connect to your wireless printer in a snap using wireless direct printing.Print from your mobile device with built-in print capability or HP ePrint app and software.Print from virtually anywhere with AirPrint™. 1 Local printing requires mobile device and printer to be on the same network or have a direct wireless connection to printer. Wireless performance is dependent on physical environment and distance from the access point. Wireless operations are compatible with 2.4 GHz operations only. 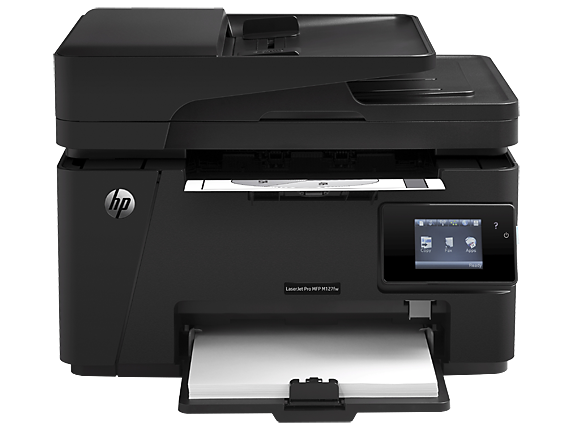 Remote printing requires an Internet connection to a HP web-connected printer. App or software may also be required. Wireless broadband use requires a separately purchased service contract for mobile devices. Check with your service provider for coverage and availability in your area. See hp.com/go/mobileprinting for more details. 2 Supports OS X® Lion, OS X Mountain Lion and the following devices running iOS 4.2 or later: iPad® (all models), iPhone® (3GS or later) and iPod touch® (third generation or later). 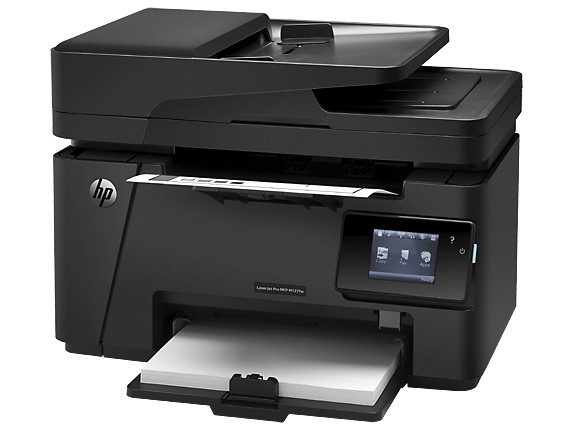 Works with HP's AirPrint-enabled printers and requires the printer be connected to the same network as your OS X or iOS device. Wireless performance is dependent on physical environment and distance from the access point. OS X, iPad, iPhone, and iPod touch are trademarks of Apple® Inc., registered in the United States and other countries. AirPrint™ and the AirPrint logo are trademarks of Apple Inc. 3 An app or driver may be required to use HP wireless direct. For more information, see hpconnected.com. Wireless performance is dependent on physical environment and distance from access point.